Are you looking for a laptop desk? 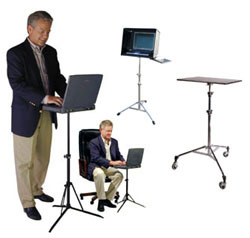 Finding the perfect laptop computer table or notebook computer stand can be difficult, especially if you are looking for a high quality portable laptop desk, or a convenient laptop stand. 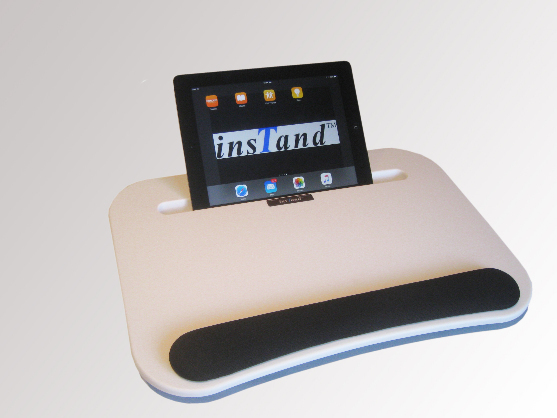 Instand makes a laptop computer desk, which is actually a laptop tripod. This portable laptop stand quickly opens into a sturdy notebook desk. For the best laptop computer stand you can buy, make your notebook stand an insTand. If a laptop table isn't exactly what you had in mind, take a look at the bean bag lap desk for computers. This lightweight computer lap desk keeps your hot computer off your lap!